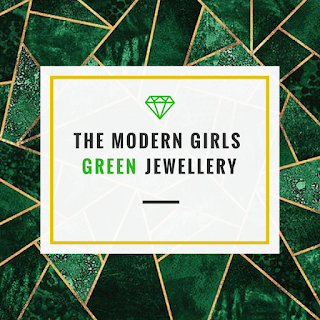 Green jewellery is the best way to go bold with colour and look effortlessly polished at the same time. 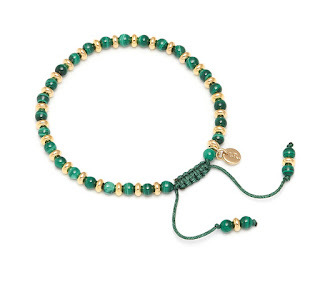 There are so many beautiful green stones out there from peridot to chrysoprase and emeralds to malachite, prasiolite, jade and even green amethysts. The list goes on. 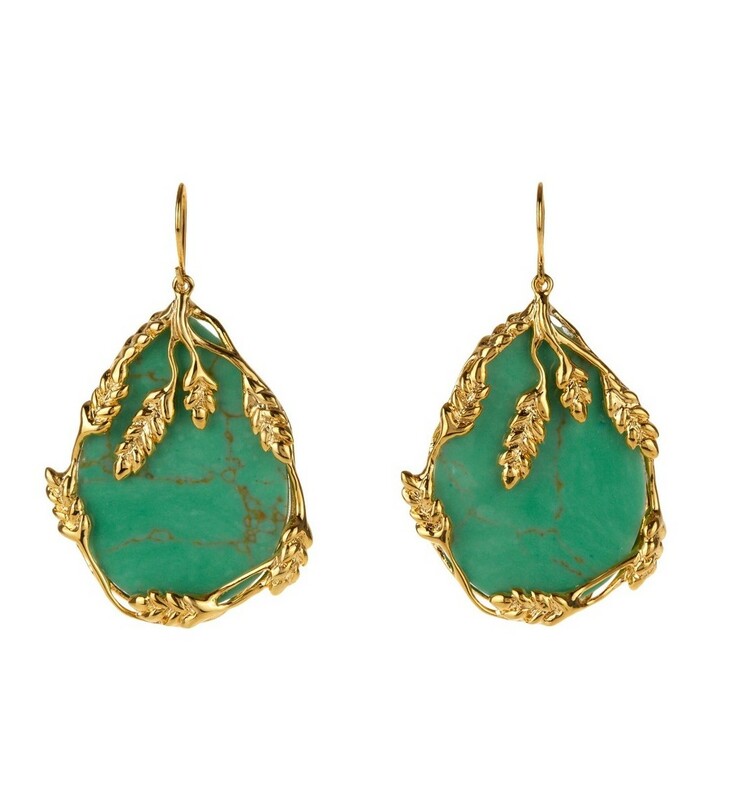 Green gemstones have always had strong meanings as such truth and joy. Napoleon Bonaparte gave his beloved Josephine a peridot to symbolise his undying love and admiration for her. 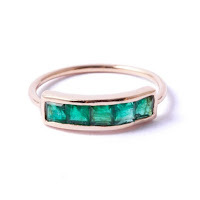 Emeralds are the for May birthstones and Peridots for August Birthstones. 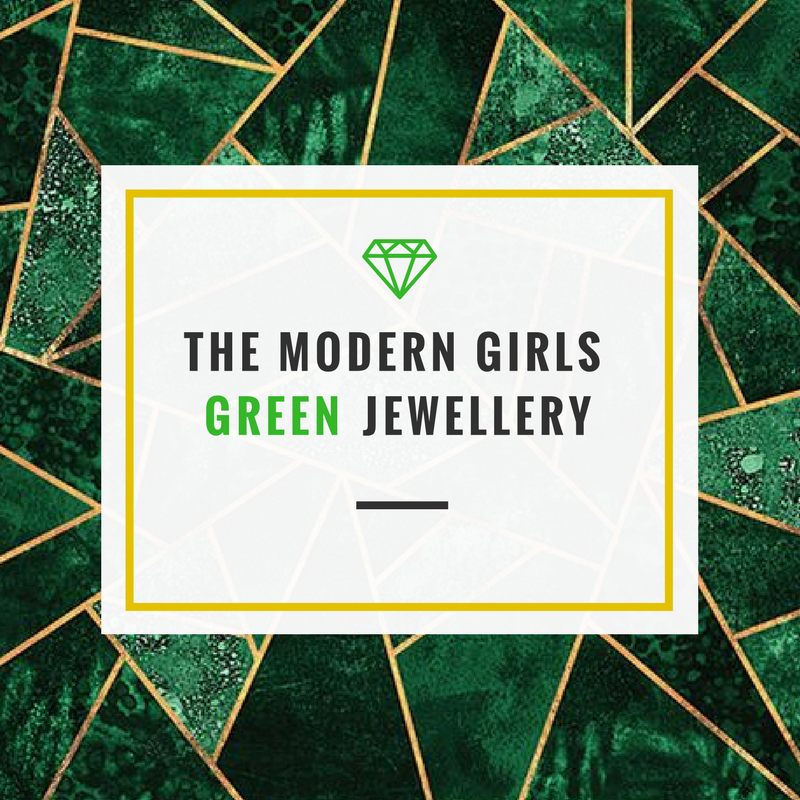 If you wear a lot of neutral colours using pops of colour in your jewellery to brighten up an outfit is a smart little trick, and often these green stones can be spotted a mile away. I've put together a selection of minimalist and bold pieces which I think will set off any outfit perfectly. I've included mostly green and gold pieces because I feel the warmth the yellow gold colour bring to green makes it more exotic and bold. 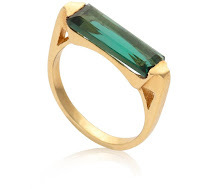 The first piece in my edit is a green cocktail ring. 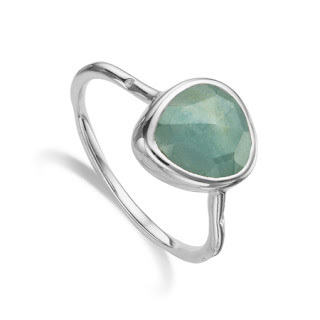 I love these three very different linear gemstone rings.You will instantly have a favourite out of the three below, whether you like the opaque amazonite or the simulated emerald ring. 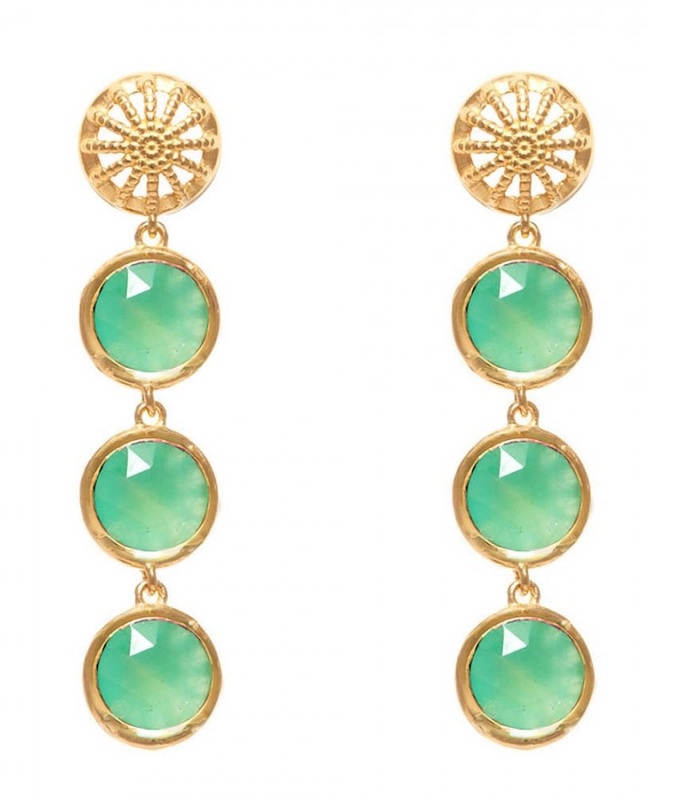 Once you've graduated the school of statement rings, you will inevitably move on to statement earrings. 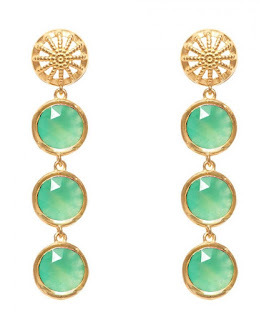 With a similar power to lipstick statement earrings instantly make you look ready for the evening, and you don't have to wear a necklace or much else jewellery wise. 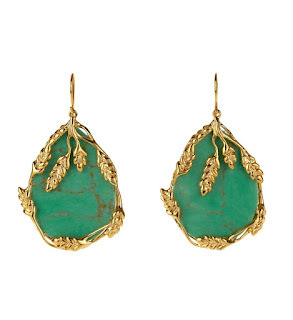 If these are a bit too big for your taste, but you love the colour I'd opt for these studs from Missoma. 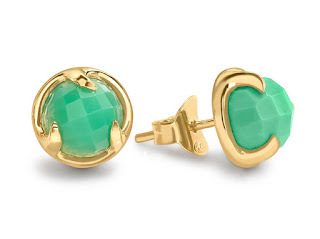 I am on a personal mission to have all different colours of these claw studs, and I can't praise them enough. 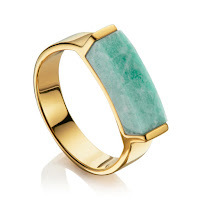 Unlike clear gemstones, Chrysoprase will always give you the most vibrant colour no matter how big the stone so is perfect if you want a very small piece of jewellery but in a bold colour. 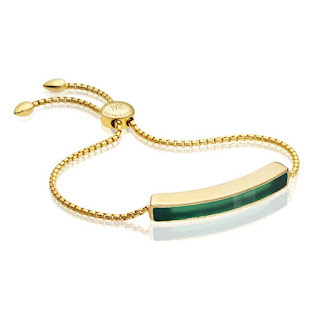 You can also go for a bracelet with a classic beaded friendship bracelet or an art deco piece. For those looking for something more pastel and pale, these three green-themed pieces are subtle and delicate. 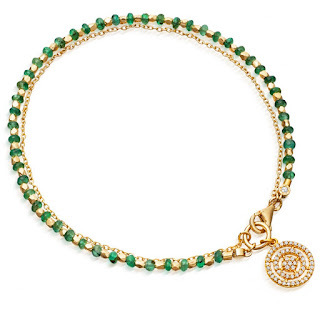 The pale green cord on a Daisy Heart Chakra Bracelet or Monica Vindaer aquamarine gemstone ring has much cooler tones that the pieces featured above. 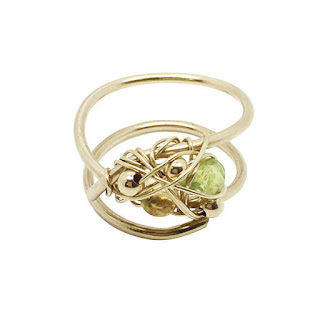 If you still want subtle but warm this Kat and Bee peridot ring is perfect for you. With the very delicate green gem woven among the gold. 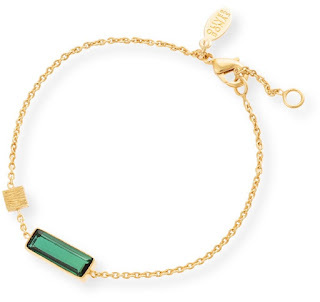 Finally, if you want something fun, bold and to buy for yourself, I suggest this Mawi Emerald slogan crown necklace. Love it or hate it. This tongue in cheek necklace is from their Rebel Royal collection and set with Swarovski crystals.